As for operation and management policy of subsidiaries and joint venture, the Company has appointed the management to be directors and executives in order to allow the Company to closely participate in administrating and setting up the policy. Subsidiaries have been operated under the same administration structure and manageable authority as the Company. 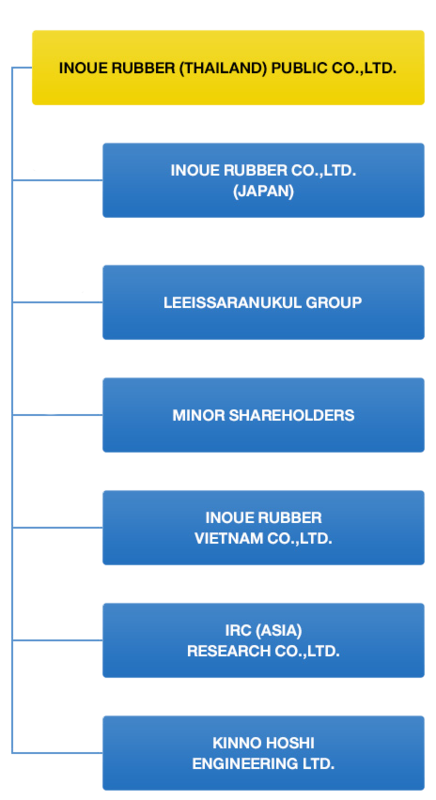 Shareholding proportion of Inoue Rubber Vietnam Co., Ltd had been changed. In 2011, Inoue Rubber Vietnam Co., Ltd. increased the registered capital from 10 million US dollar to 12.50 million US dollar which resulted in decreasing shareholding proportion from 10% to 8%.